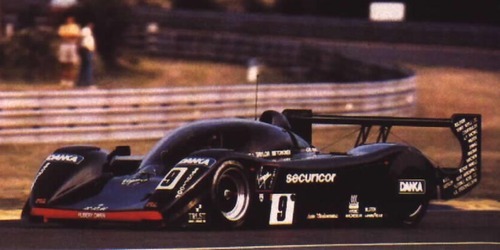 #MotorsportFail – The 1992 WSC BRM P351. – Historic Motor Sport Central. Our first #MotorsportFail here but an interesting one and a car that I haven’t heard a lot about before seeing a picture on bloody Facebook ! Here is the story of the failed attempt to resurrect the British Racing Motors marque, well known as BRM in Formula One during the fifites’, sixties’ and seventies’ as well as being the 1962 Formula One World Champion with Graham Hill but let’s get back to the story of the BRM P351. 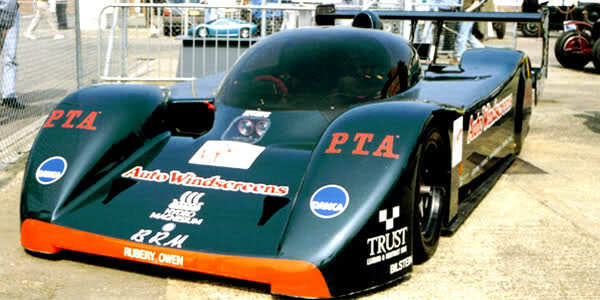 1990 saw John Mangoletsi persuaded Alfred Owen, the founder of British Racing Motors to lend him the use of the BRM name. Mangoletsi saw the name as a help in order to gain sponsorship and funding as well as having an history in the sport, unfortunatelly, it would turn out to be a sad adventure for Mr Owen. Looking at the results, I think he would have prefered to stay with what happened with the real BRM Formula One team. Talking about the car, Paul Brown, the former chief engineer of Zakspeed was the man behind the design. The monocoque was made of carbon following the trend set in Formula One years before and then a common practice in sportscar racing. Courtaulds was commissioned for the construction of the tub. For the engine, the basis was the Weslake V12 block from Formula One but reworked by Graham Dale-Jones and built by JHS and bearing the BRM. Power output was a claimed 626hp at 11300RPM for 3500cc WSPC formula. The package looked good but again, the engine proved to be completely uncompetitive and unreliable and that is no surprise if you look at what the opposition were using, Peugeot had the V10, Jagaur had the Ford HB V8 and the list goes on ! Modern design and technology compared to a put-together engine..! On the chassis side, it is said that it was better, well we can’t find any statement on that but the legend says that the drivers regarded it as a very good handling car. Well it could only have been better than the powertrain ! The track debut came at the 1992 Silverstone round of the World Sporstcar Championship. Wayne Taylor and Harri Toivonen were at the wheel with the later being the brother of rally legend Henri Toivonen. The car failed to qualify due to misfortune with electronics and was due to start dead last on the grid. Again, disaster struck and during warm-up, the oil pump failed making the car unable to start the race. Next appearance was to be the Le Mans 24 Hours at the La Sarthe circuit, the same driver line-up was retained with the addition of Richard Jones. Transmission troubles hampered both qualifying days and only Wayne Taylor was able to complete a timed lap good for a 23rd place on the grid out of 29 starters. The 24 Hours of Le Mans could have been named the 20 laps of Le Mans as the car retired after that distance on a transmission failure..! 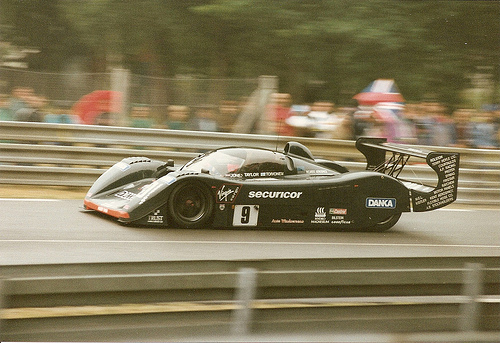 The BRM P351 at the 1992 Le Mans 24 Hours. And last, there is a french saying of “Jamais deux sans trois” as there are never two failure without a third one and yes, their third attempt was a complete one. The car was sent to the USA to contest the Watkins Glen round of the IMSA GTP series. An attempt to source sponsorship that would prove that the whole BRM resurrection was just a joke. They arrived and found out that the car would not meet the IMSA rulebook regarding maximum height… “Hey Guys, how about looking good in America ?! Eh… Yes, I didn’t read the rules, you know I was trying to fix the electric system…” However, they reworked it and the car did start the race but only to retire after five laps due to an electrical failure… “…Well I tryed to fix it !”. The BRM P351 at the 1992 Watkins Glen IMSA GTP round. That was to be the end of the P351. Even if it was on the entry list of the 1992 Donington round of the World Sportscar Championship, it never appeared there. Poor showing and reliability issues didn’t help to secure the necessary budget, that would be the reason for the team to pull-out of the championship and then fold putting an end to the project. However, it did appear again as an open top sportscar named BRM P301 ! 1997 saw the car repeating the exact same scenario of 1992 but in another form as it had been modified to meet the ISRS series regulations but funny is that for it’s 4th showing in this form, Donington again, the car never took the start ending the career of the car in the same way it had begun and guess what ?! John Mangoletsi was one of the backers behind the ISRS series ! Previous Previous post: #Focus – Jim Shampine and his Green Machine. 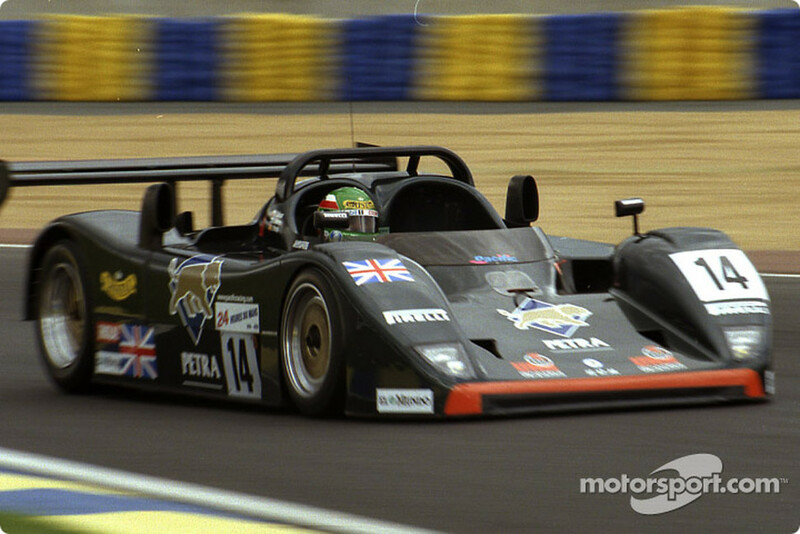 Next Next post: #PurpleCat – The 1991 WSC Jaguar XJR-14.